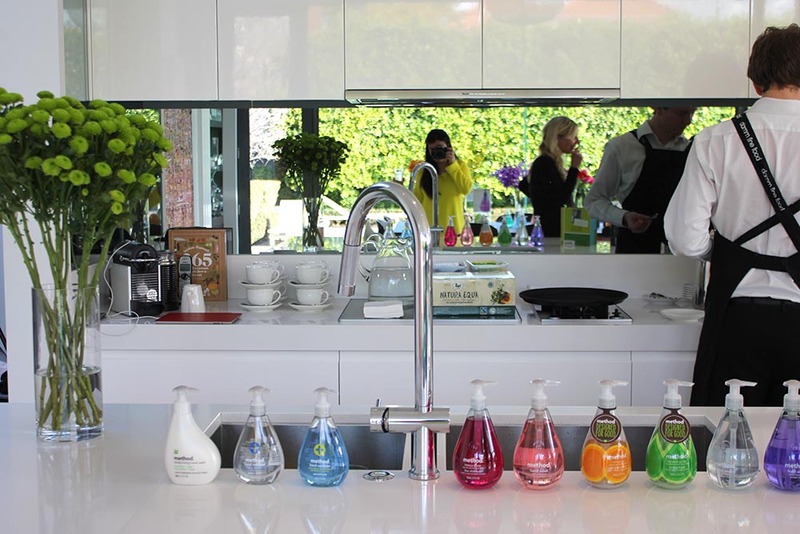 Last week, Cherry and I were invited along to a bloggers’ lunch to launch a very exciting new range of eco-friendly cleaning products, called Method. 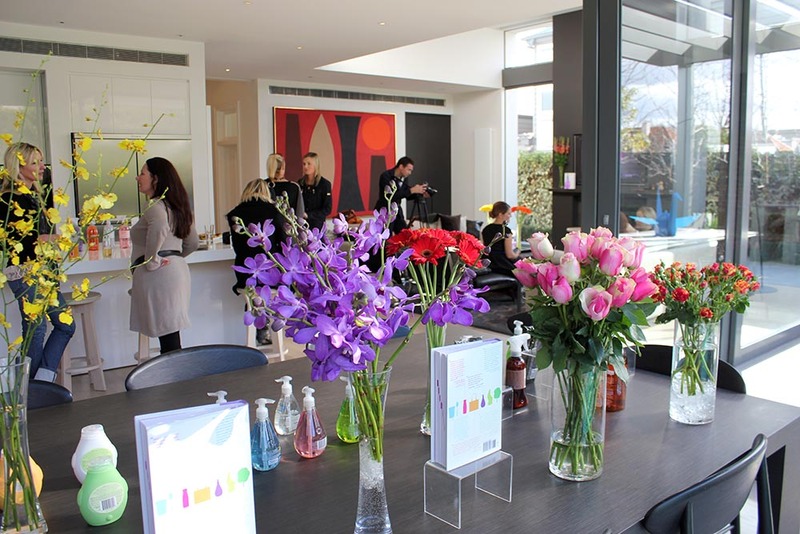 The event was held in a beautifully renovated victorian home, the perfect backdrop to showcase the fabulous Method products. Cherry and Me. Yes, we’re both wearing leopard print jeans! 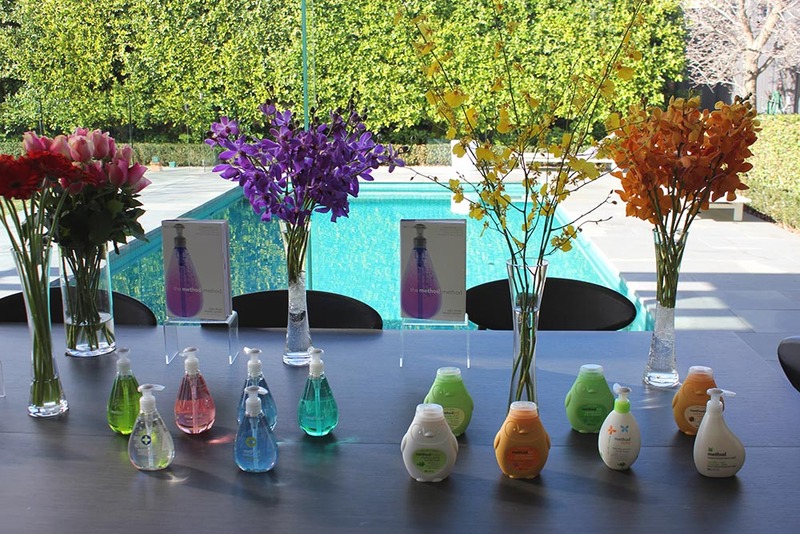 Believe it or not, the cleaning products smell even nicer than these gorgeous flowers! So pretty you could eat them! Ok mumma, let’s go home! It’s GIVEAWAY time! WIN a Method prize pack! 3. Then leave a comment telling us why you need Method in your home. Here’s a Youtube clip by Method. Watch it. It’s awesome! All the products featured in this post are available from: https://www.methodhome.com.au. A limited range are also available from Woolworths. This entry was posted in Events, Interior. Bookmark the permalink. 44 Responses to Method Home + GIVEAWAY! I adore the penguin bottle that the kids ad baby products come in. I would love to try these with my 3 year old daughter and 1 month old son at bath time! I need some ‘method’ in this madness in which I live because the kids are grubby grots and hubbies not much better! 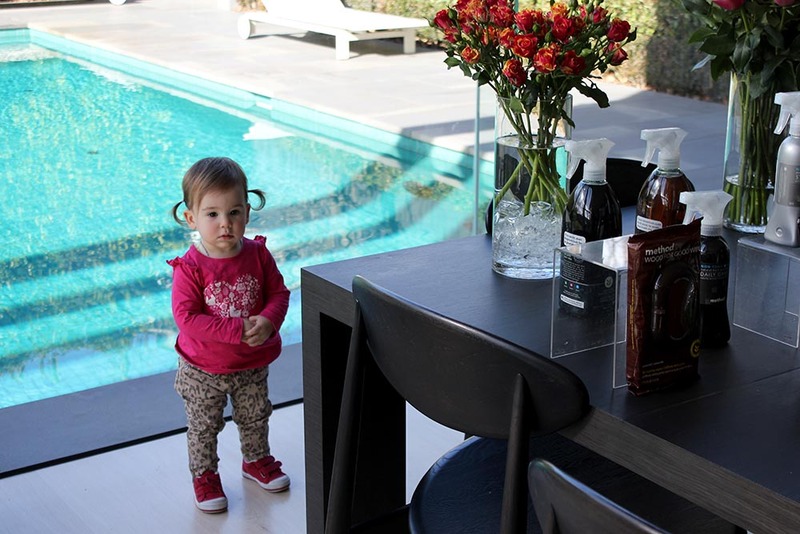 If these products made my house look as good as this beauty I’m sold! Some products to bring life not chemical death into my home are always welcome. They look and smell divine and do exactly what they are meant to! As I’m pregnant I would love some eco friendly products to keep my home looking and smelling lovely without the nasty chemicals! Severe dermatitis makes our lives itchy and unhappy. I’d love an eco friendly Method to prevent the itching. I like your facebook page and I shared this link. They care for my family, Method products are the best. Living here in Tassie, our backyard is mud, and I have a 14 month old boy who really is a grub! Add to that two tweens, who make my washing pile so big, and don’t forget the shower that looks like it homes a pig! I’d love a Method Miracle to help me out in Spring, with lovely fresh scents like lemon, to add a little zing! I am always on the lookout for new eco products! As a nanna I believe in having ‘Method in my madness!’ Chemical cleaning makes me mad so eco-cleaning is my Method! We are in the middle of renovating our bathroom so I have decided I dont want to use any harsh chemicals in the new bathroom , so the Method cleaning products would be great for my new bathroom. Two young children and a husband with eczema so we need to be careful with what products we use. These products look fanastic. Keep me and the family happy. That’s why we need them!! I need Method to help balance out the madness in my house! The house can get messy is it any wonder? Would all be most welcome here too! So I’m hoping the pack will soon visit us!! 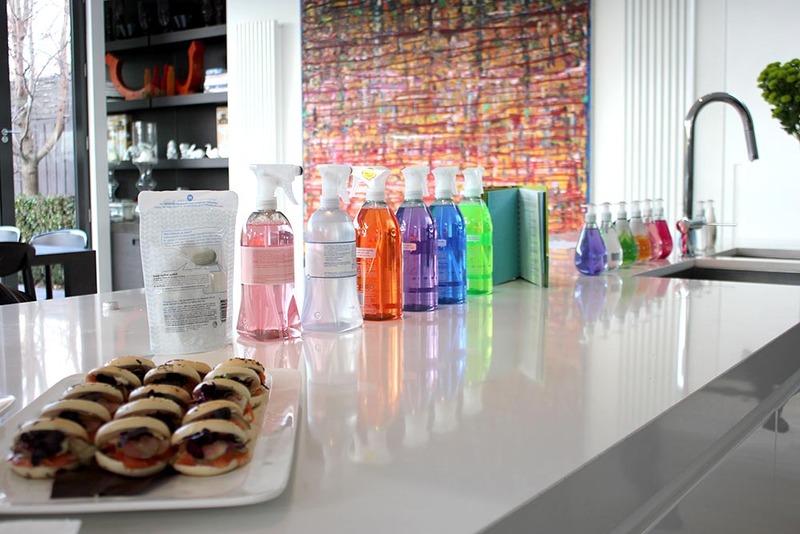 I need a good “METHOD” to rid my home of being dirty while still inspiring a happy and healthy home! Love having really pretty bottles of goodness for hands around my house..why not? It attracts everyone to use them! Method is perfect! 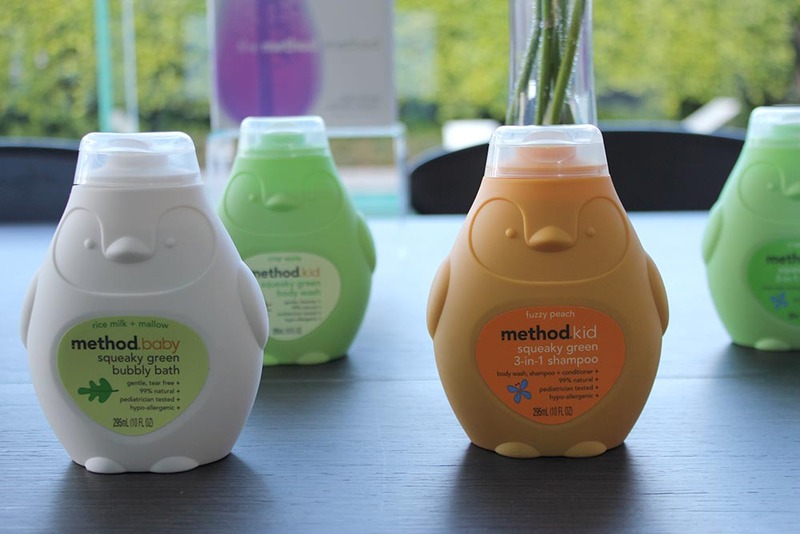 I need to add to my method collection, as i am missing the little Method for my baby bath. 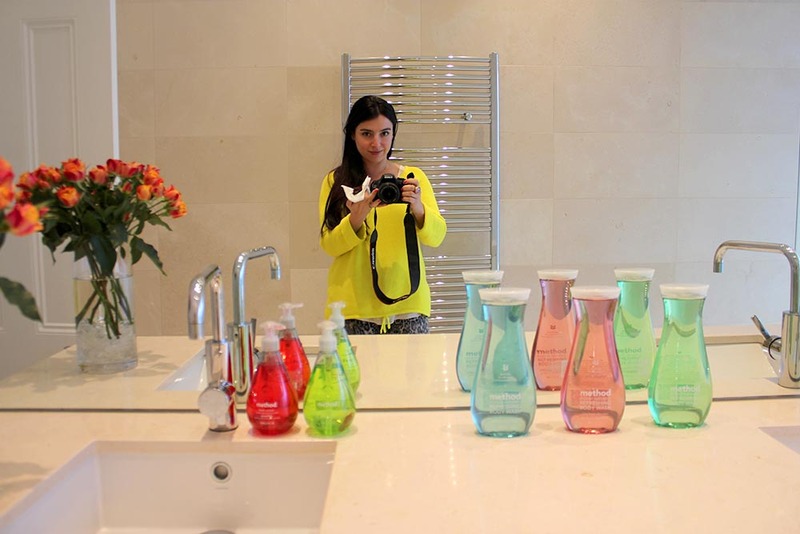 Nothing beats some lovely colourful bottles to brighten the bathroom decor! My 86 year old nana was at my house yesterday and told me I really need to dust. Maybe some new cleaning products would inspire me to clean more? I’d love a new Method of scrumptious smelling cleansers in our home instead of those that make our bathroom even stinkier!! Shared on twitter @melmoran7! Following on twitter and FB. P.S. that house is gorgeous!!! Encouraging to see more eco friendly products being made so easily available. The bright colours will definitely motivate me to get up and clean the house instead of sitting on facebook!!! Be able to instagram my sparkling house!! Instead of complaining that I have more cleaning to do! I would really want and need to win this giveaway because I have tried so many Co friendly products in my home that just don’t smell nice or work well…I’m so looking for one I can change to more permanently that smells good and does the job while being eco friendly. I am also looking for a good product that I can recommend clients to. 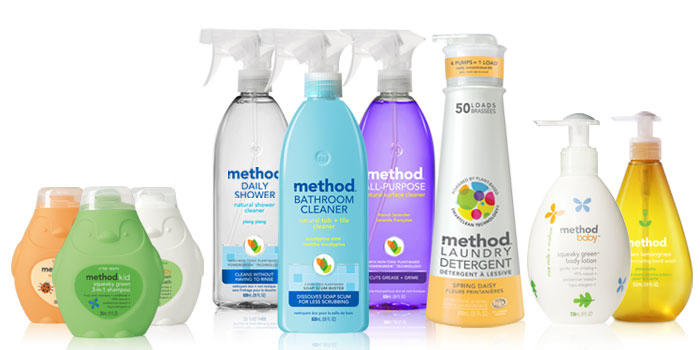 Method products leave your house and body looking fresh, clean and supreme! Yes please to eco-products that look fantastic and actually work. Hi! Have liked and shared on Facebook. 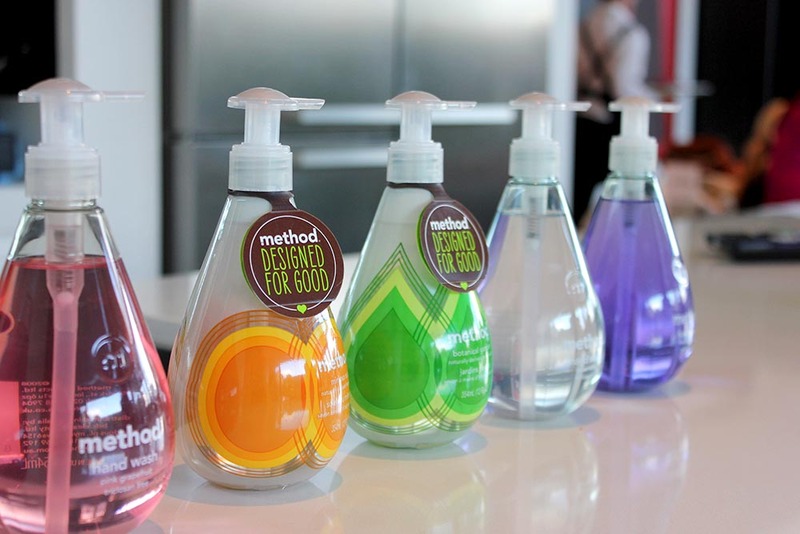 We need Method in my home to make the place look better, their packaging is so appealing and I bet it’s eco-friendly too. Plus, since I know I will be using these products on a daily basis, it’s nice to know I’ve made the switch and helping save our world for the generations after. Thank you, boy does that event look good, hope you had fun! I need Method in my house because I have Chronic Fatigue Syndrome and psoriasis and I try to avoid nasty chemicals as much as possible. At the moment that mostly means vinegar, bicarb and eucalyptus oil, but these products sound like they’d smell much nicer! Method is all I use at home. Our local IGA (or little corner shop) actaully has a better variety than most places. Country living usually makes people more aware of caring for the environment, using eco-friendly products and cleaners that actually work in conjunction with my enjo! I would hate my housework with method. I love to use natural products. The “Method” products look cool with the nice packaging. Love to try it! We NEED Method in our home because I am very anti animal testing, and these products are simply fantastic in their workings and ideals. It’s so nice to finally see a company really standing up against animal testing! I also have a 13 month old girl, who I don’t like to expose to horrible chemicals, and a husband who is sensitive to said horrible chemicals.